On Thursday evening, Shareefa Bano stood near an army van, her hands shaking with fear and her dry lips murmuring divine verses, as an army soldier handed a microphone. Another soldier comforted her by placing his hand on her back. Hours ago, a Pakistani militant from Lashkar-e-Taiba, Ali, active in Hajin belt since 2017, appeared at the Mir's house in Mir Mohallah and took the family hostage, demanding they bring back one of their daughters who was shifted to Sopore after Ali had started threatening her to get married to him. 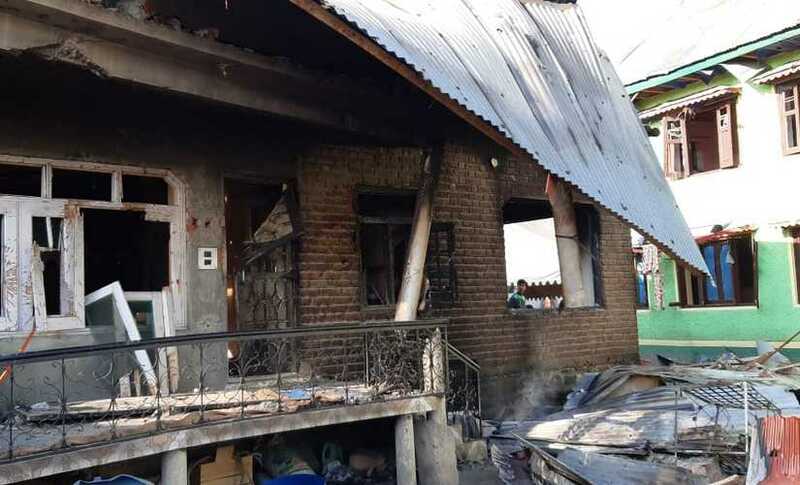 On Thursday, the police and army had launched three cordon and search operations (CASO) in Hajin belt and during one such operation, they arrived at the Mir's house. As forces cordoned off the house, two Pakistani militants, Ali and Hubaib, both affiliated with the Lashkar-e-Taiba (LeT) militant outfit, took 12-year-old Atif Mir, a Class 6 student, and his uncle Abdul Hamid Mir, hostage. “For Allah’s sake, for the sake of Prophet Mohammad (PBUH), please let them go. I appeal to you, I used to give you food. Please, for Allah’s sake, let them go. 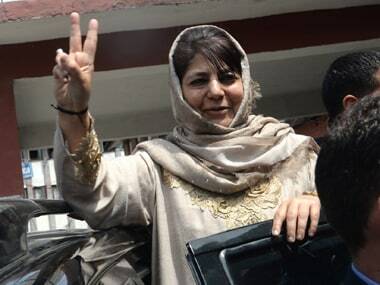 Let my husband and child go,” Shareefa cried in Kashmiri on the microphone. There was no response from the other side. 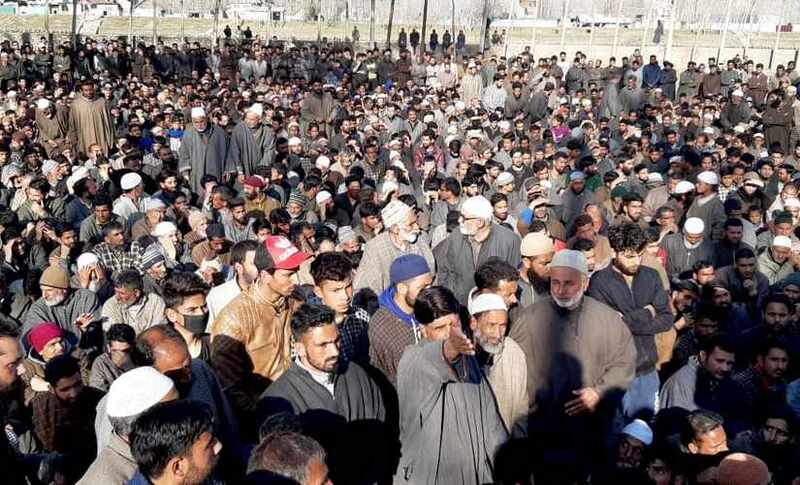 Much before the gunfight started on Thursday evening, the family had met a militant group, asking for their help to persuade their colleague against marrying their daughter. "They told us to solve the dispute among ourselves," a relative said. The gunfight broke after the forces failed to get the two members of the family out. When the initial exchange of fire started, one militant was injured, a police officer said. Abdul, the uncle, managed to jump out of the window and was rescued by the police. But the militants kept the 12-year-old boy hostage, until he died, along with them. 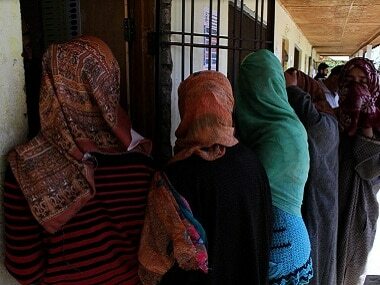 Around a dozen of Shareefa's family had managed to give a slip to militants but two were stuck inside for hours. 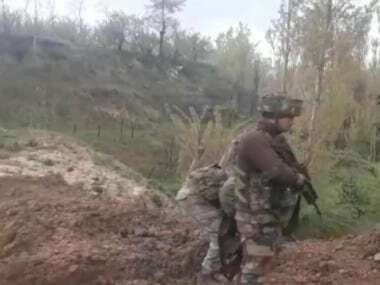 The day-long encounter in Hajin in northern Kashmir ended on Friday morning. Hajin was once a bastion of pro-government militia Ikhwan, but in recent years it has become a hub of Pakistani militants. This was the first time in a decade that a child was held hostage by militants. At the funeral, the villagers seemed visibly angry and openly criticised Pakistani militants for using the boy as a human shield and refusing to let him go. "This was a chance encounter. We rescued six civilians with the help of the mohalla committee. 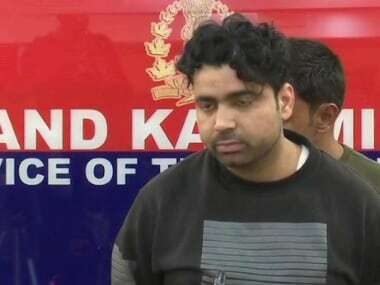 When the team went to the third floor, the militants opened fire on them," said Rahul Malik, SP, Bandipora, under whose jurisdiction Hajin lies. “The child was killed on Thursday evening only. The terrorists killed him inside,” Malik added. 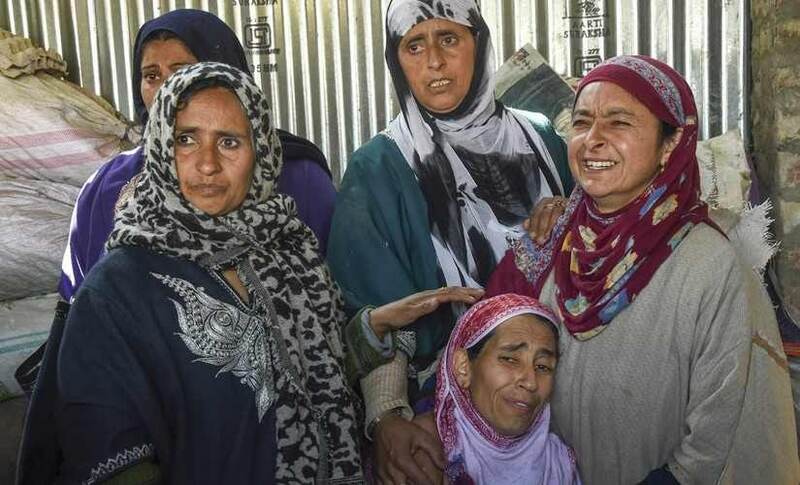 Mohammad Shafi Mir, the father of the child, said the family members were taken to the encounter site by the army to convince the militants to let the child go but that did not help. “There was no response from the militants’ side,” he said. "The boy was being held hostage by Ali. He did not allow the boy to go and before we stormed the building, he killed the boy," Malik said, adding, "We showed a lot of patience for nine hours but they did not relent and killed the boy." A video featuring the child's uncle went viral in Kashmir after the gunfight ended. "This is not jihad (crusade) but jahalat (ignorance)," the uncle was heard shouting towards the house where the militants were trapped. The videos of both the mother and uncle surfaced on social media, showing them pleading with the militants to release Atif Mir and his uncle.